Betgames Lucky 5 Live Lottery draw - 5 balls from 36 every 5 minutes. 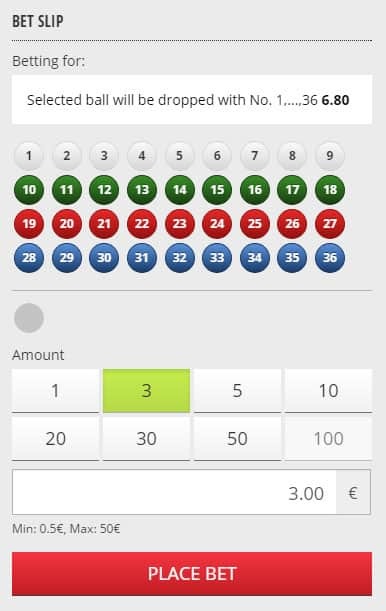 Betgames Lucky 5 is a lottery based game, where coloured balls with numbers on them are drawn from a selection of 36 balls. A draw is held every five minutes. If you’ve played the traditional lottery, it’s all about picking the numbers you think will be drawn out. You generally get a prize if you identify two or more numbers, with a jackpot being paid for picking all of them. 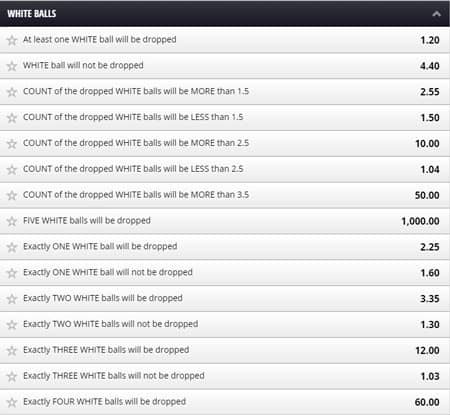 What’s different with this lottery based game is the number of betting combinations you can make. Also, unlike the National Lottery, you don’t have to wait all week for the draw! Lucky 5 results history: find out today’s Lucky 5 results! If you want to find out Lucky 5 results today or Lucky 5 results from days ago, you’ve come to the right place. My Betgames results page has all of the results from all of the Betgames, whether that’s Lucky 5, Lucky 6, Lucky 7, Bet on Poker, Baccarat, Dice, Dice Duel, Wheel of Fortune, or War of Bets. Find Lucky 5 results history (and all other Betgames results) right here! How does Betgames Lucky 5 work? 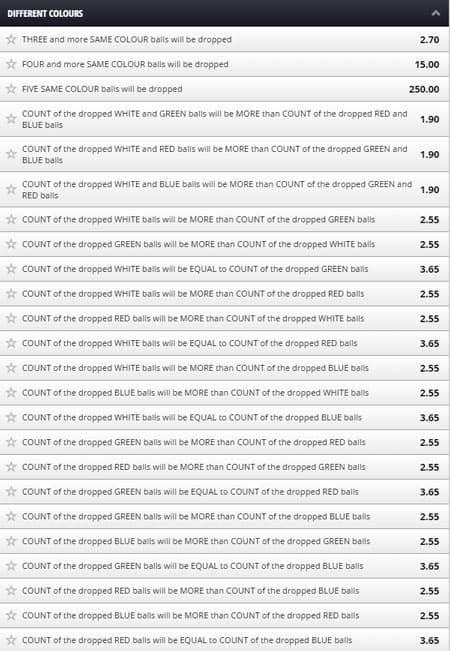 The idea of the game is that you bet on which balls will drop from the machine. The presentation and the speed of the game are what make it so exciting to play! You can bet on the numbers or the colour of the balls in pretty much any combination you can think of. Below is an example of the different number bets you can make. …And here are some of the different colour bets you can make. There are white balls, green balls, blue balls, and red balls. If you have a lucky colour, this game is a good way to put that colour to the test! You can pick one or as many as you want from the numbers section or any of the different colour sections. Then, you use the betting selector to select the numbers and the amount you want to bet. The bet slip allows you to choose an amount from their list or to punch your own amount in. It’s a very easy system and you can play for as little as €0.50. When you’ve decided what you’re going to wager, press “PLACE BET” and you’re done. The result for Lucky 5 is displayed live on screen for only a few seconds. When the live feed disappears, you get a holding image with the last five results. If you miss those, you can go to the Betgames Lucky 5 results page that’s displayed at the top of the screen. For a full Betgames Lucky 5 results history, you should check out my Betgames results page, which allows you to display Lucky 5 results from the last few months. It also allows you to check out the Lucky 6, Lucky 7, Bet on Poker, Baccarat, Dice, Dice Duel, Wheel of Fortune, or War of Bets results history. Where are the best live casinos for Betgames Lucky 5? By far, the best two live casinos to play Betgames Lucky 5 at are Codeta and DublinBet. In fact, these are two of four live casinos where you can play Betgames Lucky 5 or any other kind of Betgames.